Our feet are incredible. Made up of 100 moveable parts including 26 bones and 20 muscles, they are a masterpiece of natural engineering. That’s why the College of Podiatry is urging everyone to discover how to keep them in peak condition. 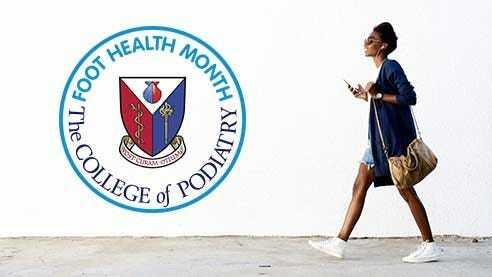 Their awareness campaign, Foot Health Month, runs through June 2018 is designed to highlight the importance of foot health, checking and taking care of our feet. As well as visiting an HCPC registered podiatrist in the event of any pain or problems. They have also developed a brand new foot health leaflet, which will be given out free by podiatrists in their clinics and practices. Look out for a Foot Health Month 2018 poster in the window of your local podiatry practice and pop in to get yours! To find an HCPC registered podiatrist near you please click here.